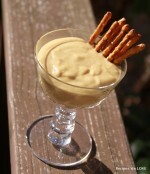 In a small bowl, beat softened cream cheese, brown sugar, and honey until creamy. 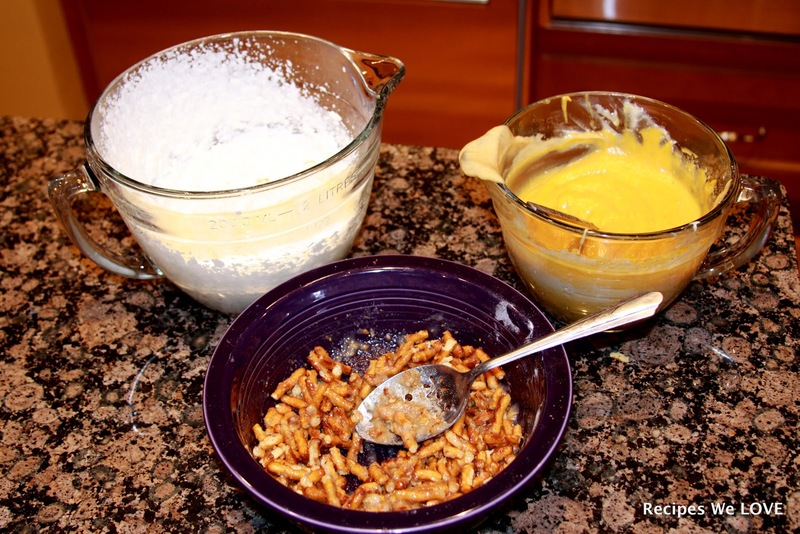 In another bowl melt butter and mix with the sugar and crushed pretzels. 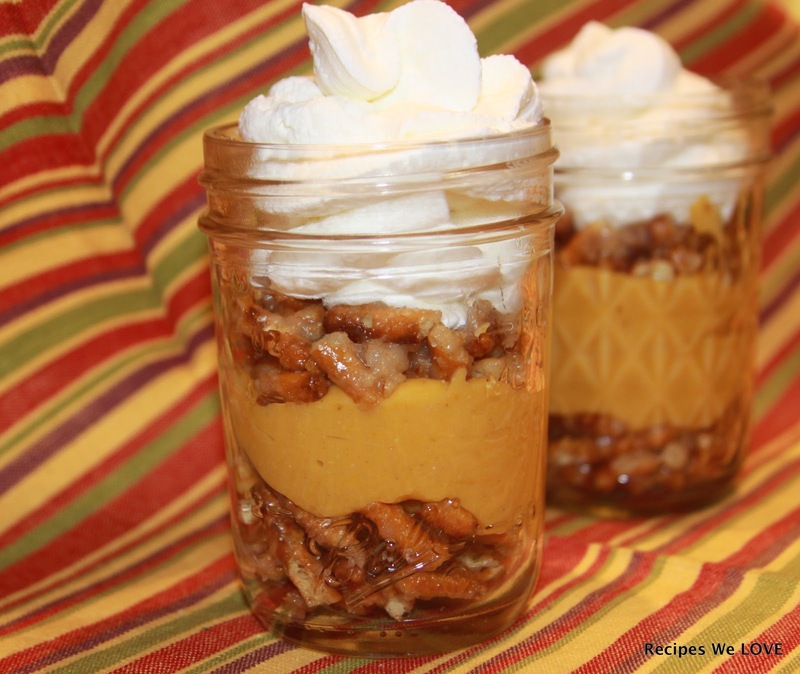 Once you have your pretzel mixture, whipped cream, and pumpkin mixture layer them in the container of your choice. 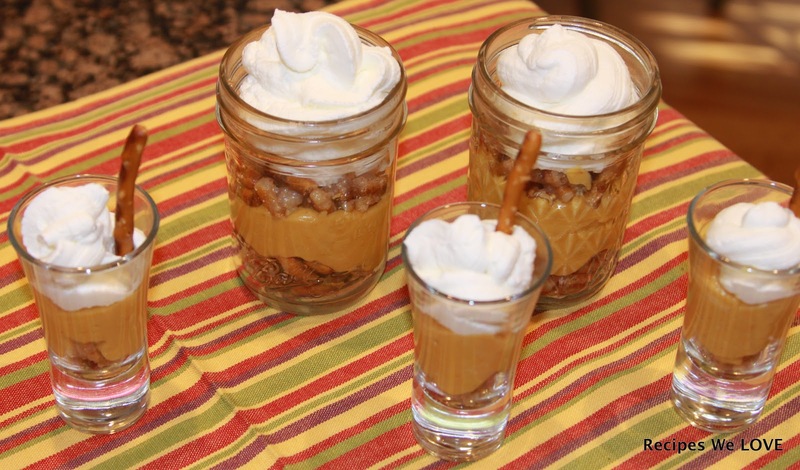 You can use a large baking dish or in individual cups, glasses, bowls, jars etc. 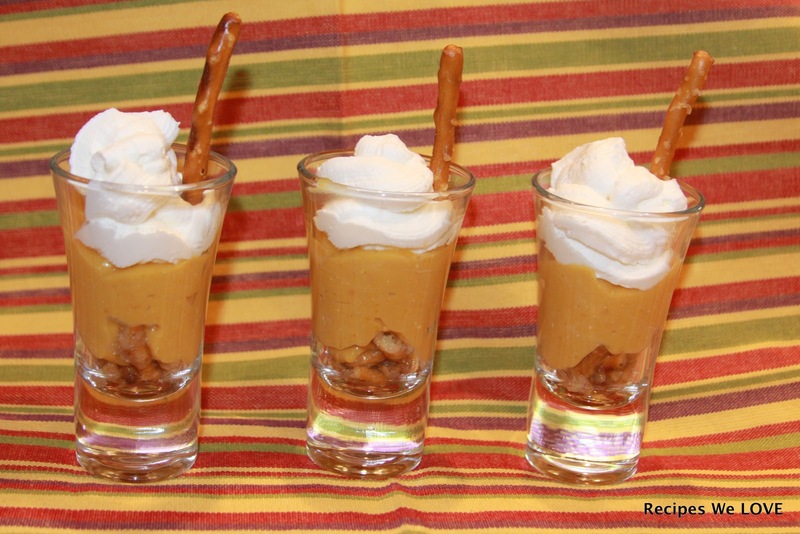 Start with the pretzel layer then add the pumpkin and finish with the whipped cream. 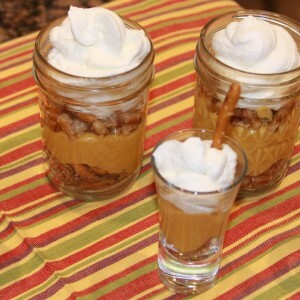 These are in jelly jars and I added a second layer of pretzels.